"Every story ever written is just waiting to become real." Sometimes worlds stay separate and sometimes they collide. Books are falling to the side while technology takes over but Inkheart takes on a life of its own as the world of books becomes that of real life. A delightful tale revolving around a man and his daughter--both who love books above all else except each other. The father reads, but never reads aloud. He fears what may happen if he does. He has brought books to life--literally. As Mo reads to his daughter a man shows up in his real world; a man from the book. But of course everything has its price and the man who emerged from the pages of the book was traded for something in the real world--Mo's wife. Mo did not realize it right away and continued to read the text thus bringing forth all sorts of evil characters whose purpose on the pages of a book are well suited but they are not the stuff of reality. The plot thickens as the young daughter thinks she might like to read out loud one day. Mo had already prohibited it, fearing she inherited his 'silvertongue'. His fears are revealed as she does show that she had inherited the talent. She reads a young man out of a book who has become lost in a world he is unfamiliar with. As the story unfolds the characters from the book kidnap various members of Mo's family in the hopes of bringing forth a terrible entity that can destroy the world and make it like the storybook they were pulled from so unceremoniously. The author of the book is found after all versions of the text have been destroyed so that the evil men will not be read back into their books. The skill of the author, and the eloquence of the child, come together to trick the evil man, his family, and the entity back into the book, but at a cost. 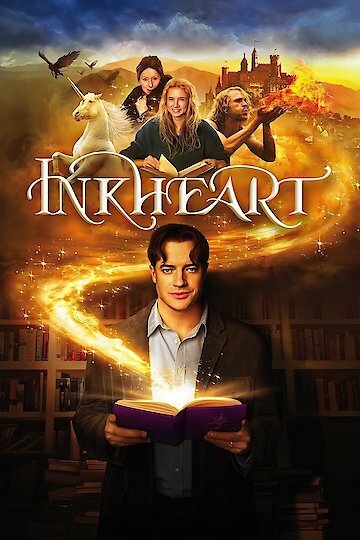 Inkheart is currently available to watch and stream, buy on demand at Amazon, Vudu, Google Play, iTunes, YouTube VOD online.